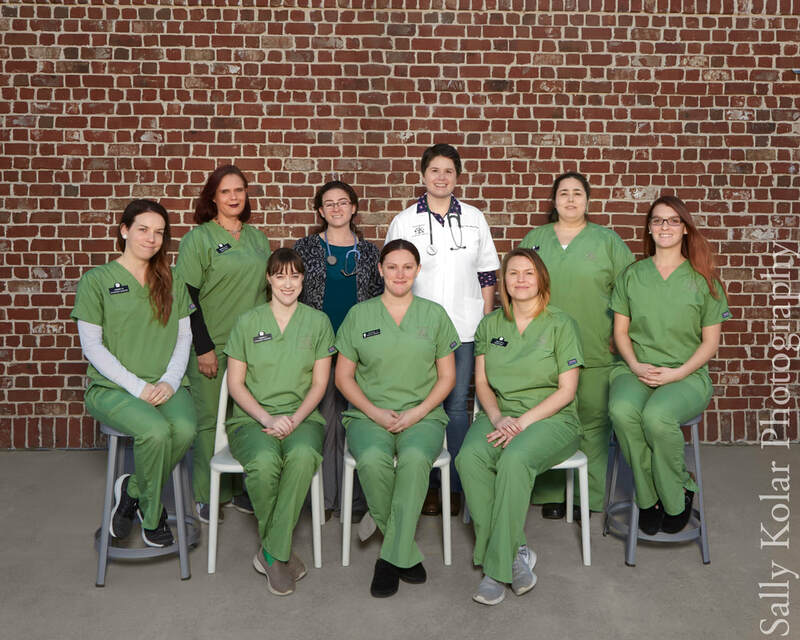 After over 15 years as a Certified Veterinary Technician, moving into a Practice Manager position has been a lifelong goal to continue serving the Veterinary community. Crystal was born and raised in Connecticut, she has traveled the country with her former Active duty husband.Traveling the country has given her an opportunity to see many aspects of the veterinary field. In hopes to share her vast knowledge with the growing staff at GVS. Crystal has a small family of 3, her husband and a beautiful daughter who has grown up in the veterinary hospital alongside the GVS staff. With two great danes and a love for sweet tea, fried chicken and country music she is happy to call Georgia home! Lindsey is a Military Spouse, who happens to be from Georgia! Upon her family of fours most recent duty station change to Augusta, she enrolled in San Juan University to obtain her degree in Veterinary Technology. With a dream of one day opening her own animal rescue, she currently has two dogs, “Goose and Ducky” and two cats “Groot and Rocket”. Outside of assisting GVS to provide quality care for our patients she likes to have fun with her two silly children and spend time with her husband. Maegan happily meets and greets all the fur babies that come into the hospital as one of our Receptionists. Growing up here in the CSRA, she has dreams to one day own her own farm. Currently in school for her Bachelors in Nursing, with goals to obtain her Masters degree. Maegen enjoys spending her free time at the lake with her fur babies “Tarzan and Baloo”. She enjoys watching and tending to her three bunnies “Aladdin, Jasmine and Abu” while reading and watching Disney movies.